Anyone in the know about the automotive industry already knows just how impressive Ram, Dodge, and Jeep vehicles are. Year in and year out, these cars and trucks come with the latest in technology, powerful engines, and a style that is impossible to ignore. These vehicles were awarded for the time and effort spent in designing and creating them! The Dodge Charger and Challenger were awarded Highest Resale Value in the Midsize Sport Car segment and the Large Car segment, the Ram 3500 Heavy Duty was awarded Highest Resale Value in the entire industry, and the Jeep Wrangler was awarded Highest Resale Value in the Compact SUV segment. Everywhere you turn, FCA is pumping out vehicles that you can depend on, which means that they last forever, and their value doesn’t drop significantly down once you drive off the lot. How are these awards decided? To decide the 2018 awards, there were over 244 vehicles evaluated. They were evaluated by sampling north of 650,000 transactions that each, on average, had around 3,500 data points. The selection process utilized wholesale prices to determine how much dealers buy a used vehicle for, and then those prices are divided by the original purchase price. These transactions can go as far back as 3 years, which means 2015 models were calculated in this decision. In short, these awards are figured out by checking out the original price a customer paid and tracking how much a dealer ends up paying through wholesale. The closer the two prices are, the more it shows off just how high the resale value of a vehicle is. J.D. Power was established in 1968, and chose Costa Mesa, California, as the headquarters. The founders of J.D. Power include Garsten Geyer, Murphy Qiao, Joseph Pacini, and Athene Li. This company is a global leader when it comes to analytics, advisory services and data, and consumer insights. All of these abilities help to enable J.D. Power to drive profitability, growth, and customer satisfaction for their clients. Awards given by J.D. Power are taken seriously, and the automotive world absolutely relies on these awards to help prove that the vehicles they are making are worthy of purchasing. Can you tell me more about the vehicles that won? There were four different FCA vehicles that went home with awards from J.D. Power. The first of these is the Ram 3500. This pickup truck offers 31,210 pounds of towing, about 930 pound-feet of torque, and 7,390 pounds of payload. This means that no matter what job you need to get done, this truck not only has the power, but the reliability that you’re looking for. The second vehicle is the Dodge Challenger. 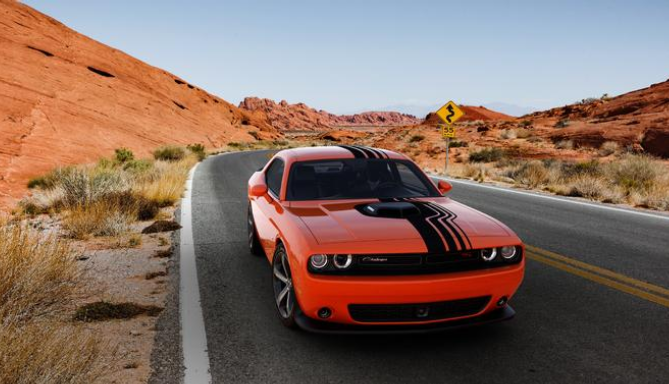 By now everyone is aware of the retro-styling that the Challenger boasts, and the Challenger has still managed to be new and exciting every generation. The success of the SRT Demon has led to the introduction of the SRT Hellcat Redeye, which feels like a worthy successor. The Dodge charger falls into the same category of fun and power as the Challenger, although it has the extra flair of being a sedan, and adding that extra boost of space that makes it a little more practical. The available all-wheel-drive capability, along with the standard rear-wheel drive, makes the Charger safe, smooth, and stylish. The last award-winner is the Jeep Wrangler. 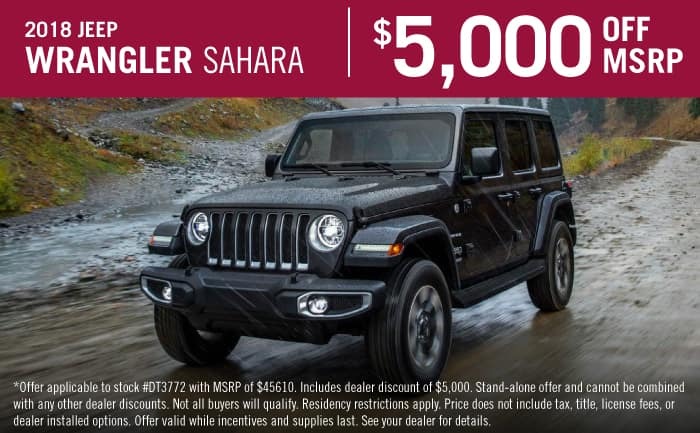 The Wrangler has been the king of off-roading SUVs since it was introduced, especially since it basically both started and continued to dominate the segment. It should be no surprise that buyers and sellers were impressed with the unmatched off-roading capabilities, and the engine options that continue to grow. Every Dodge Jeep Ram vehicle is made with a thoughtfulness that is unparalleled by any other automaker. The consumer is always the first and last thought when it comes to creating these machines, and no matter what kind of vehicle you are looking for, the wide variety of options is sure to entice just about anyone. If you want to own one of these award-winners, be sure to check out both our new and used inventory! You can never go wrong with any of them.